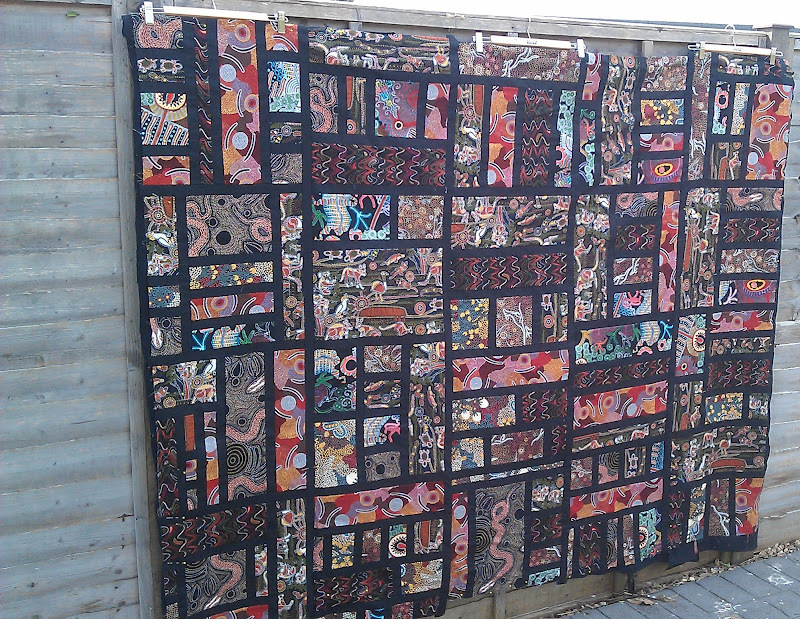 Stained Down Under has been pieced and basted - YAY! Inspired by Sarah's Stained Quilt, but without actually following any of the instructions she worked long and hard over, I LOVE IT!!! No idea how to quilt it though! Cool. 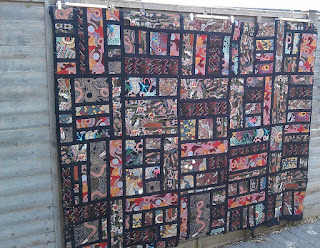 I have a bunch of blocks with Aussie fabrics that need made into a quilt. What's with the fabrics from there having crawly things all over it? LOL. It looks fab, but seriously, it needs a new name, its current one has such, err, unfortunate connotations!